Scotmid is to pilot a new scheme with Healthier Scotland to encourage people to make healthier eating choices. The trial will see fruit and vegetables displayed where customers might be more tempted to buy them on impulse, instead of confectionary and snacks. 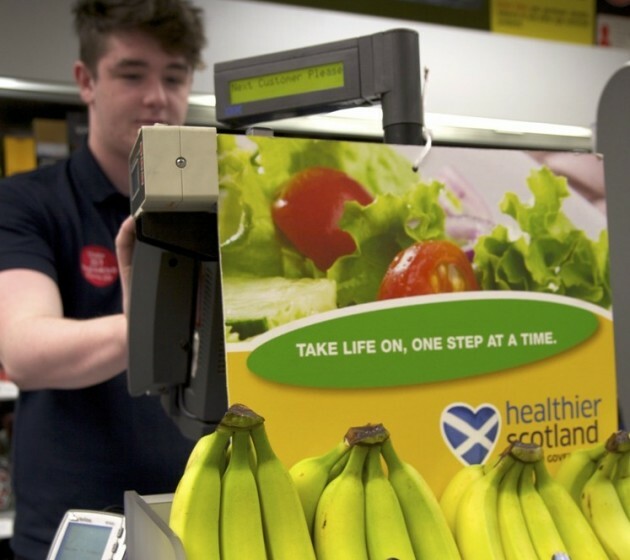 Fresh produce will be clearly signposted to promote the Scottish Government’s Healthier Scotland campaign and to remind shoppers to eat a healthy and balanced diet. A key part of the initiative will be to raise awareness about the importance of eating the recommended five portions of fruit and vegetables each day. The scheme will be trialled in five Edinburgh Scotmid stores. If successful, the initiative will be rolled out to a further 20 stores during 2014. Scotmid continues to support a number of health promotion initiatives in local communities, including a healthy weight project in Armadale, West Lothian, targeted at reducing child obesity, and healthy recipe cards in Portobello, Edinburgh.